The heart of sushi is the rice. Without rice there would not be sushi. The very word “sushi” means “vinegared rice.” There are a number of important factors to successful, delicious sushi rice. 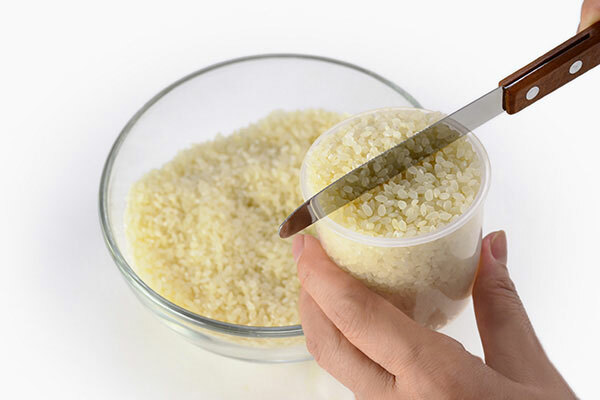 First, you must use white, short or medium grain rice which will give you a soft, sticky consistency. Secondly, you must use a rice cooker. An electric rice cooker is essential for perfect, no fail rice for sushi. 1.Measure rice accurately and place in inner cooking pan. Rinse the rice under water until water clears. 2. 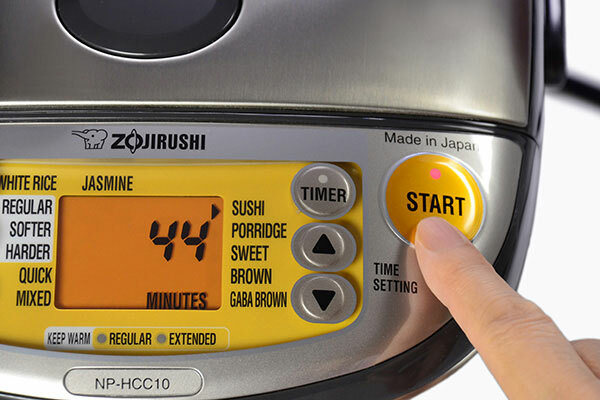 Add water by filling up to the water scale marked “3” for “Sushi Rice.” Cook the rice using the “Sushi” setting. 3. 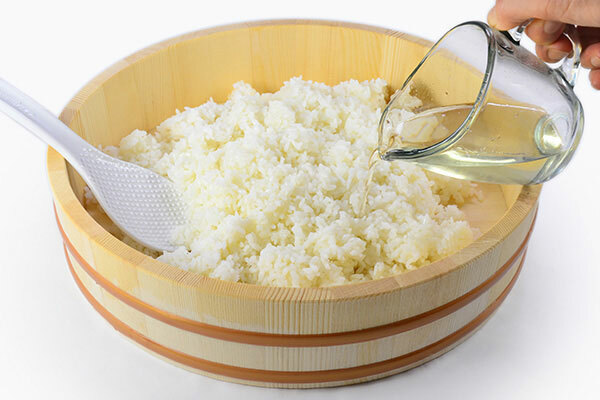 While the rice cooks, stir the rice vinegar, sugar and salt in a small bowl until the sugar dissolves. Set aside. 4. 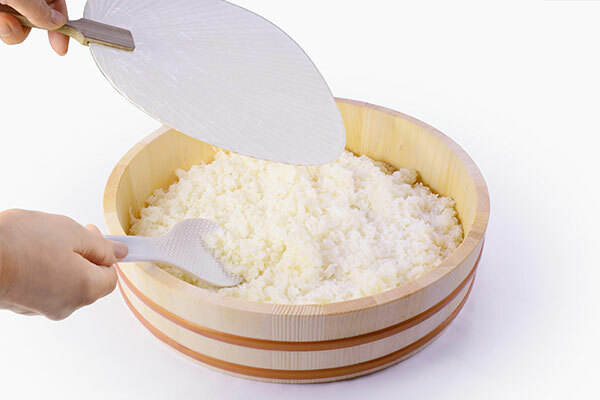 When rice completes cooking, place the rice into a large, wide, shallow dish. 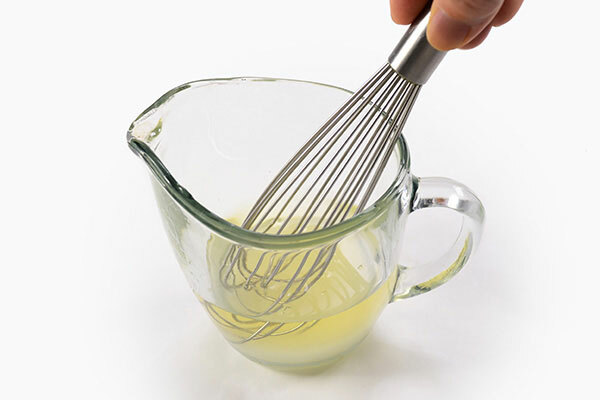 (Avoid using metal since vinegar may react with it.) 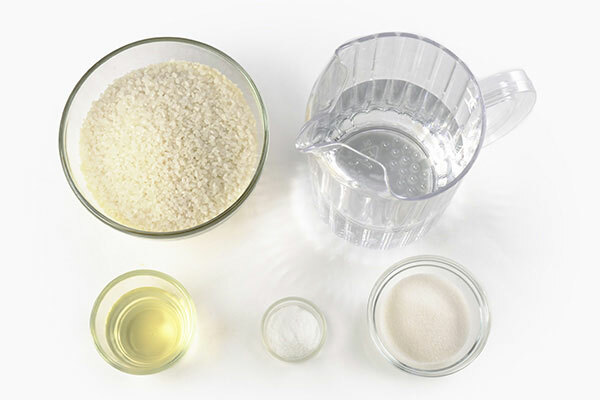 Pour the vinegar mixture evenly over the rice and mix using a spatula. The vinegar seasoning must be mixed while the rice is hot.